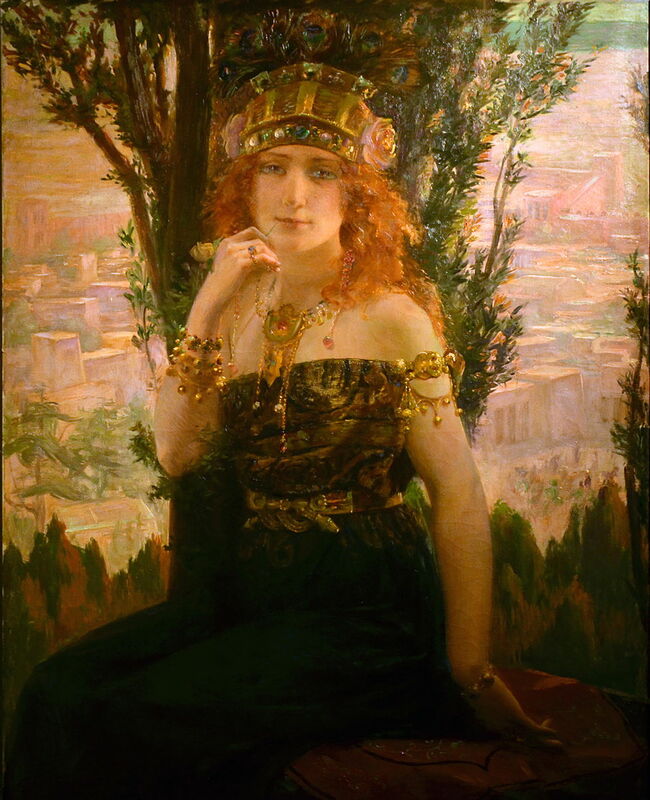 One of Ovid’s most controversial works, his Heroides (which means ‘heroines’) could have been written early in his career, or quite late, and some have claimed that few of its letters were even written by him. 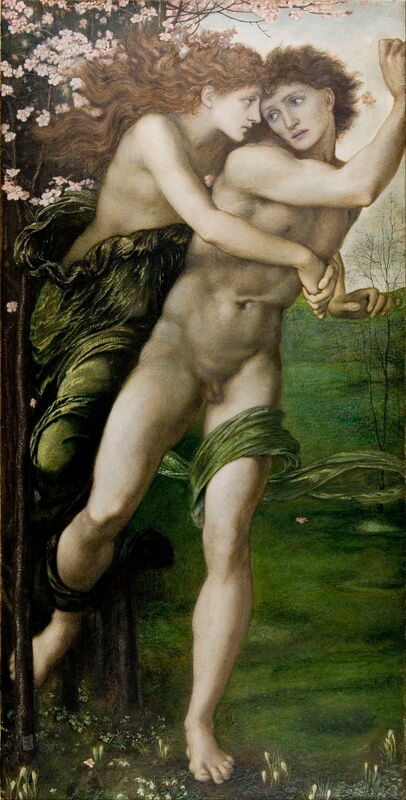 Until the late nineteenth century, they were among his most popular works, at times better-known than his Metamorphoses. Bizarrely, it was after the critical attention that they received during the nineteenth century that they declined in popularity. The Heroides consist of two series of letters, and Ovid claimed that they established a new genre of epistolary (poetic) fiction. The genre has developed considerably since, although it remains limited in scope and popularity. 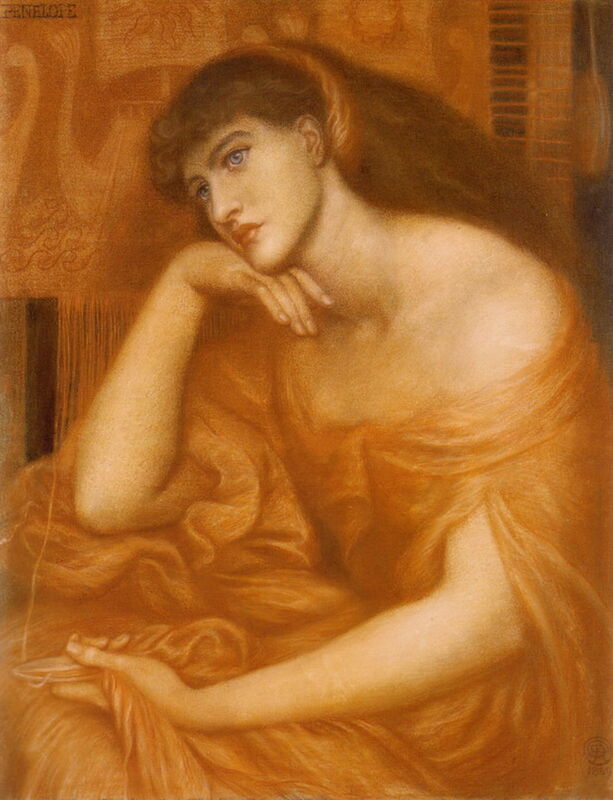 The first series, consisting of letters 1 to 15, are fictional letters written by a woman, one of Ovid’s heroines, to her partner during a time of separation. 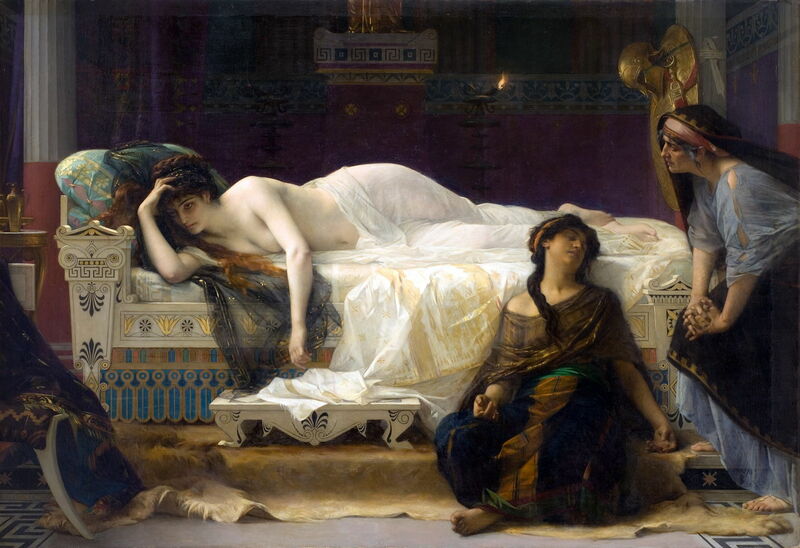 The situations vary considerably, from Penelope’s imminent reunion with her husband after twenty years apart, to several who knew that they could never be reunited and chose suicide. 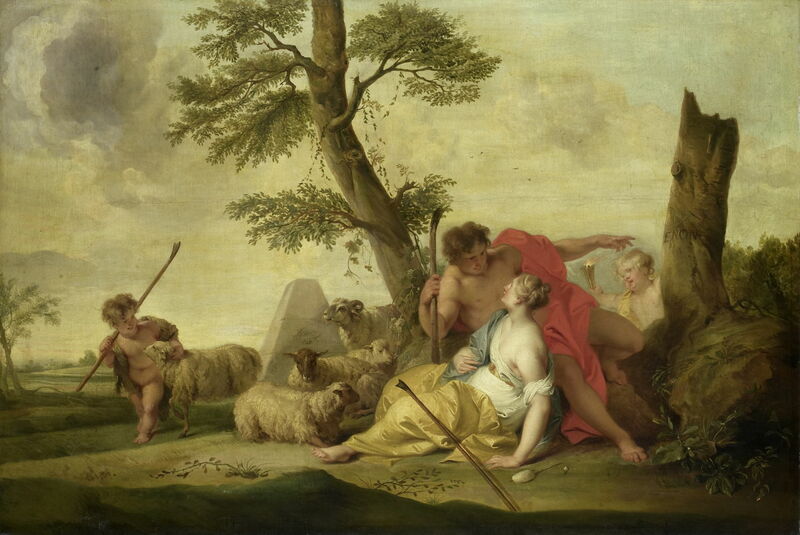 The second series, letters 16 to 21, consists of three pairs of fictional letters, the first from the man to the woman, and the second from the woman to the man, in relationships in which Ovid considers the woman to have been a heroine. They are accounts of famous couples, whose lives were not necessarily ended because of their relationship. Indeed, the collection ends with the thoroughly positive story of Cydippe and Acontius, who seem to have lived happily thereafter. 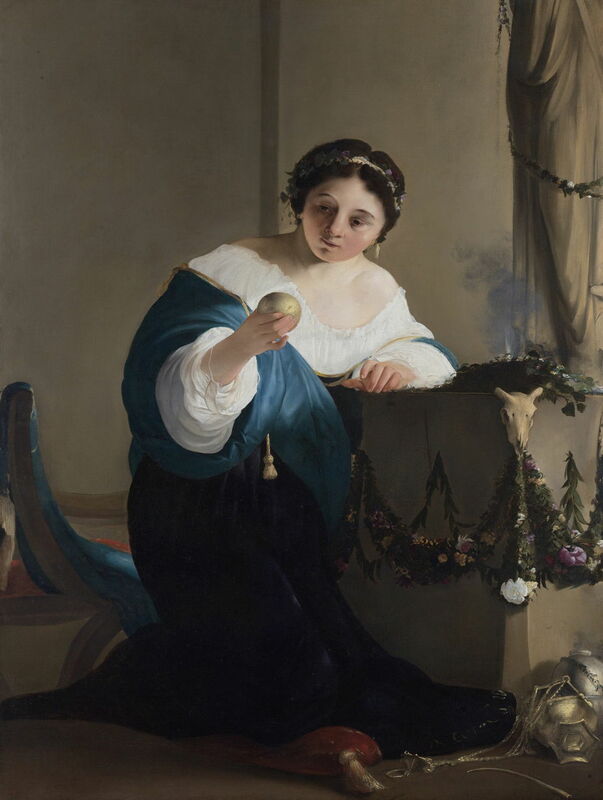 The most recent literary critical examinations of Ovid’s letters consider them to have been highly innovative in their approach to gender and its roles. For a male Augustan poet to have even considered writing such a collection seems extraordinary. When you read the individual letters, many have deep insight, and a timelessness which is exceptional among contemporary literature. 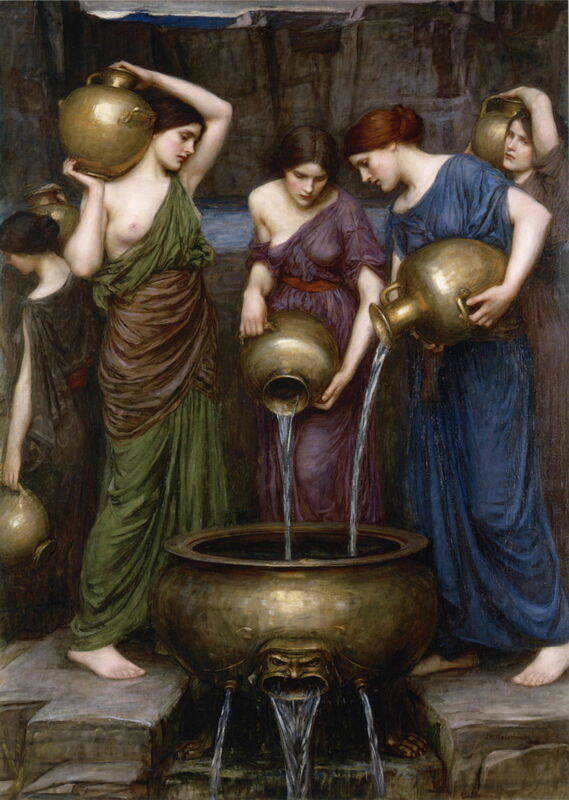 The Heroides have inspired many fine paintings and other works of art over the centuries, many of which share Ovid’s radical ideas on women and their roles. 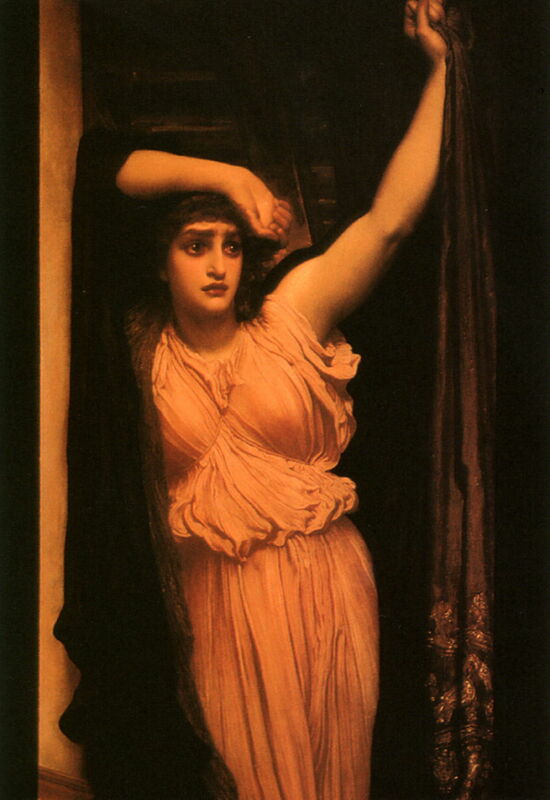 I hope that this series of articles reflects those paintings, and does justice to Ovid’s poetic epistles. James M Hunter‘s translation and commentaries. The Latin Library‘s text in Latin. 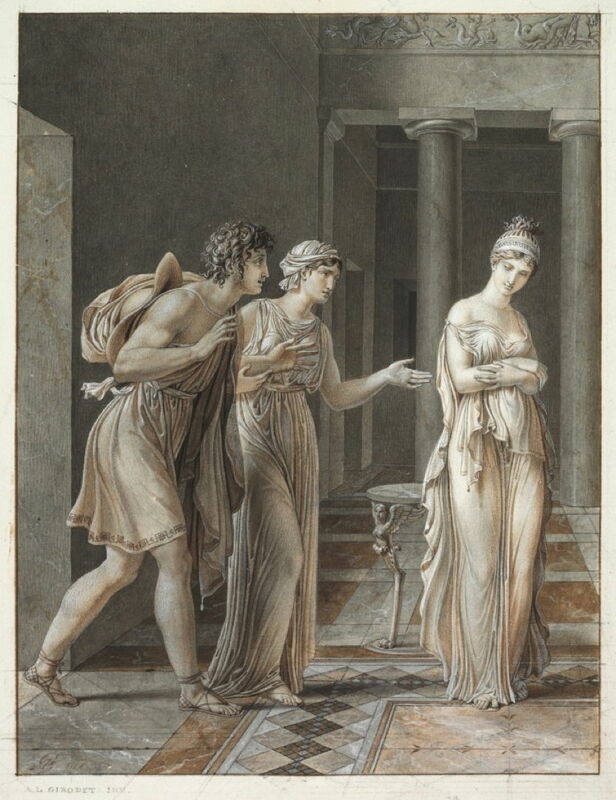 Downloadable PDFs of Loeb Classical Library – L041 includes the Heroides in English and Latin. Arthur Palmer’s edition and commentary (1898). Kenney, EJ (1996) Ovid Heroides, XVI-XXI, Cambridge UP. ISBN 978 0 521 46623 3. Knox, Peter E (1995) Ovid Heroides, Select Epistles, Cambridge UP. ISBN 978 0 521 36834 6. Palmer, A (ed) (1898, 2005) Ovid Heroides, vol 1, Latin text, Bristol Phoenix Press. ISBN 978 1 904675 05 0. Palmer, A (ed) (1898, 2005) Ovid Heroides, vol 2, Commentary, Bristol Phoenix Press. ISBN 978 1 904675 06 8. 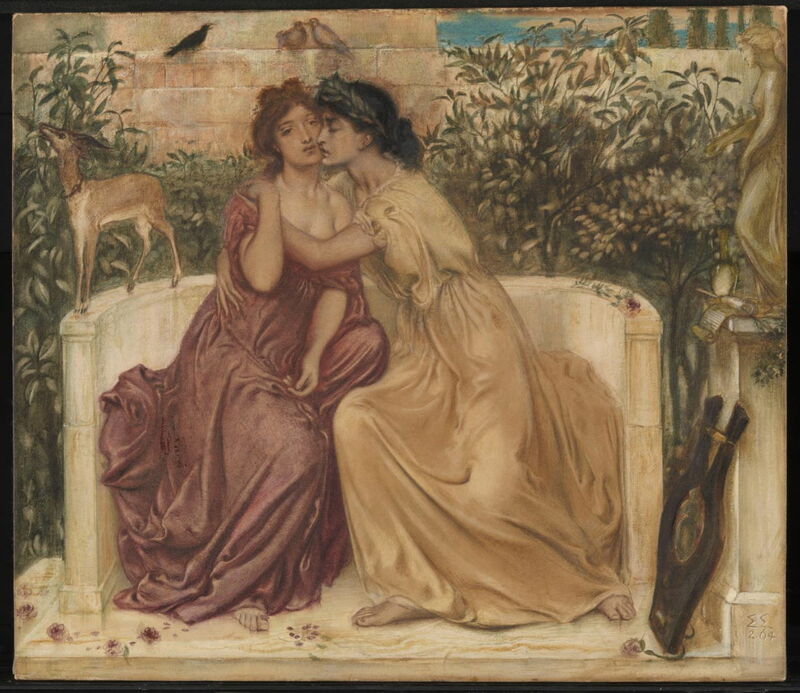 Edward Burne-Jones (1833–1898), Phyllis and Demophoon (1870), bodycolour and watercolour with gold medium and gum arabic on composite layers of paper on canvas, 47.5 x 93.8 cm, Birmingham Museum and Art Gallery, Birmingham, England. Wikimedia Commons. 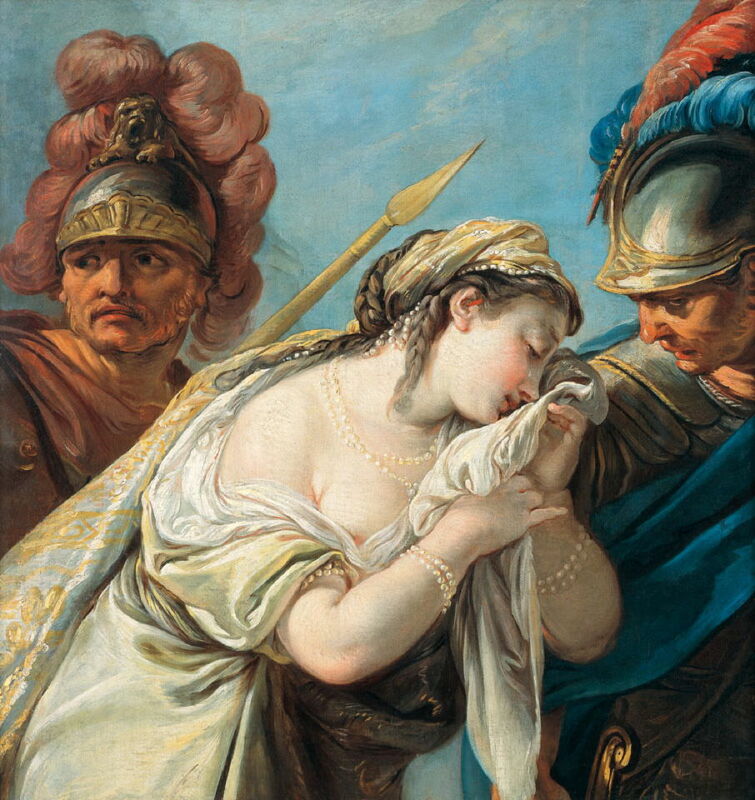 Jean-Baptiste-Henri Deshays (1729–1765), Briseis Led from the Tent of Achilles (c 1761), oil on canvas, 83 x 78.5 cm, Musée des Augustins de Toulouse, Toulouse, France. Wikimedia Commons. Jacob de Wit (1695–1754), Paris and Oenone (1737), oil on canvas, 99.5 x 146.5 cm, Rijksmuseum Amsterdam, Amsterdam. Wikimedia Commons. 6: Hypsipyle to Jason – Bigamy, sorcery, and rotting timbers: was Jason just another rat? 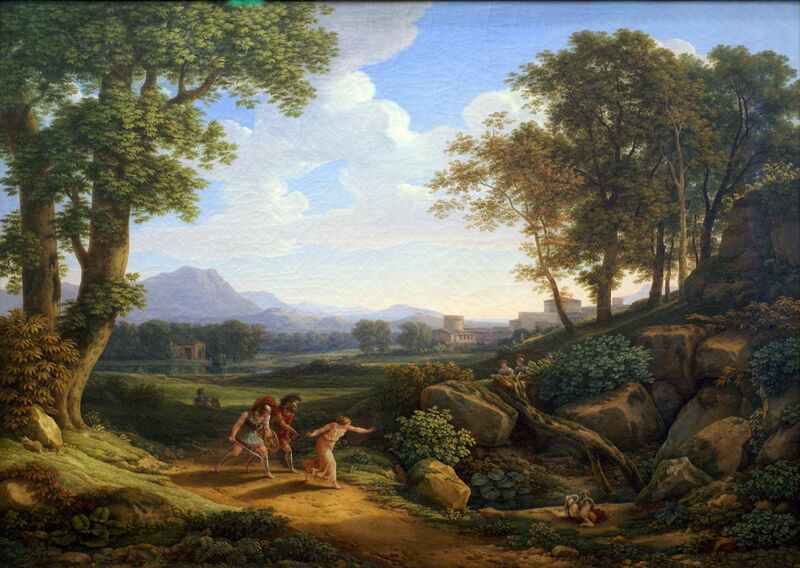 Johann Christian Reinhart (1761-1847), Classic landscape with Hypsipyle and Opheltes (1816), oil, dimensions not known, Staatliche Kunsthalle Karlsruhe, Karlsruhe, Germany. Wikimedia Commons. 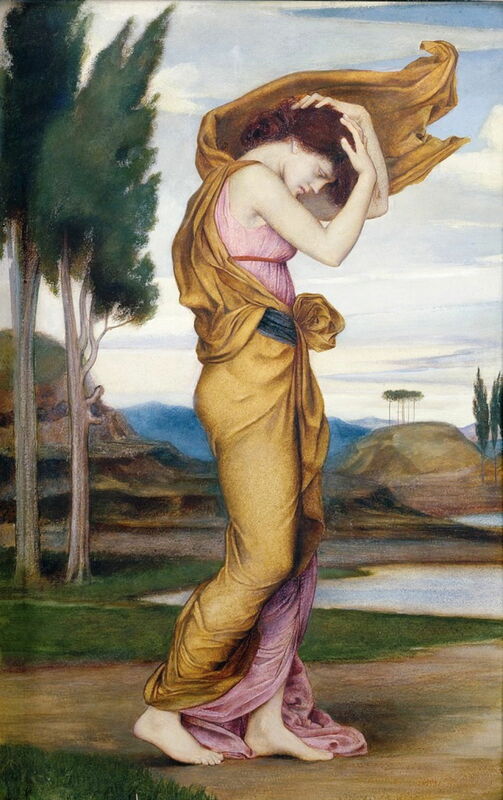 Evelyn De Morgan (1855–1919), Deianira (c 1878), oil on canvas, dimensions not known, Private collection. Wikimedia Commons. 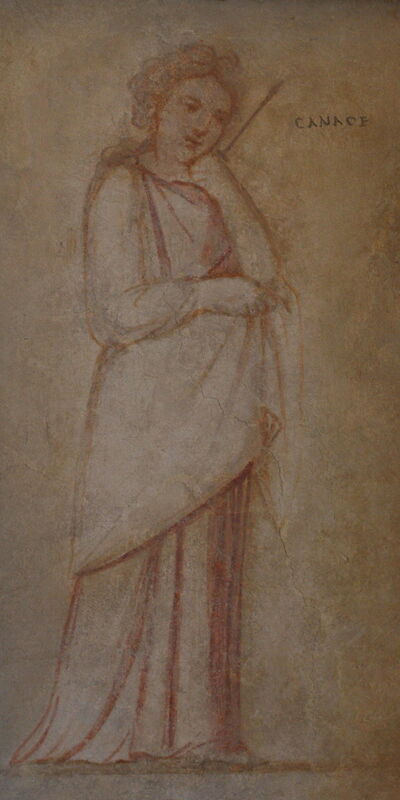 Artist not known, Canace, from Heroines of Tor Marancia (date not known), fresco, dimensions not known, Sala delle Nozze Aldobrandine, The Vatican. 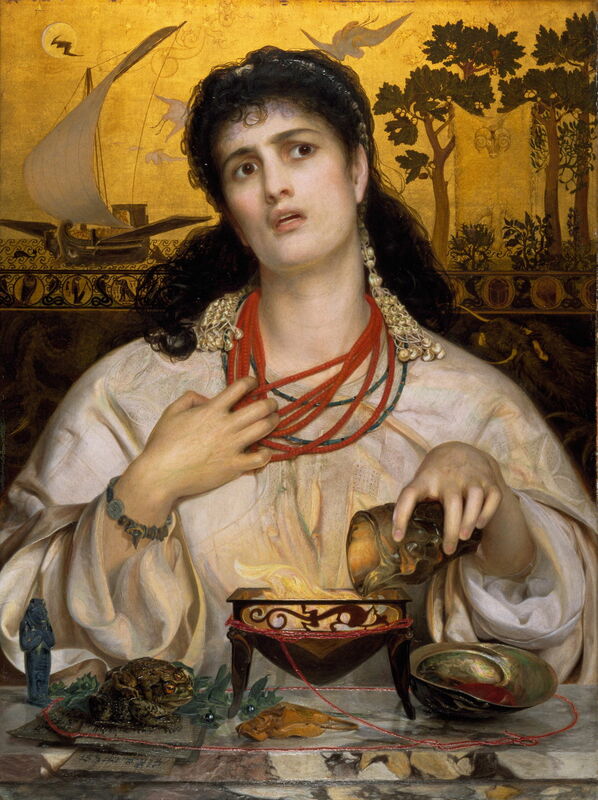 Frederick Sandys (1829–1904), Medea (1866-68), oil on wood panel with gilded background, 61.2 x 45.6 cm, Birmingham Museum and Art Gallery, Birmingham, England. Wikimedia Commons. 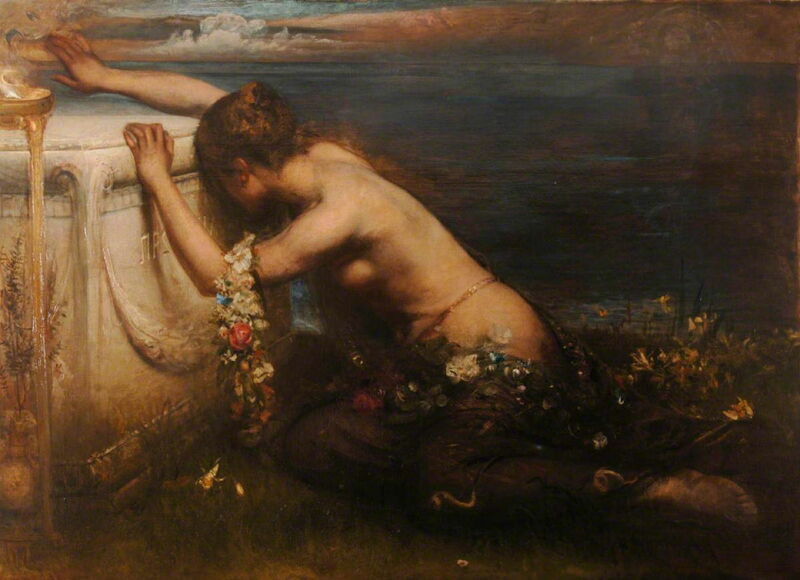 George William Joy (1844-1925), Laodamia (1878), oil on canvas, 107.3 x 153.3 cm, Portsmouth City Museum, Portsmouth, England. The Athenaeum. 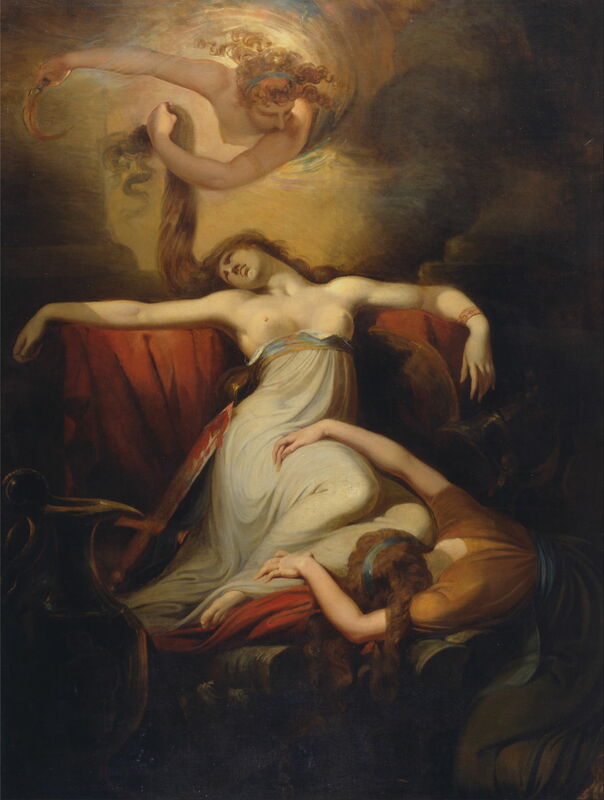 Posted in General, Language, Life, Painting and tagged Heroides, heroines, index, myth, Ovid, painting. Bookmark the permalink.